The use of technology is basic to success in life as well as in the Kingsbury curriculum. The use of technology is integrated with the curriculum at all grade levels. All classes work regularly with technology including iPads, Chromebooks, and interactive whiteboards. The community also takes advantage of the extensive wi-fi network coverage throughout the campus buildings. In Kindergarten, students communicate their ideas using technology and use iPad apps to enhance their learning. By grade 3, students extensively use the apps within our Google Apps for Education account, particularly Docs and Slides, taking advantage of the collaboration features as they work. Students also do internet research as part of the curriculum, as well as creating web pages and animations. 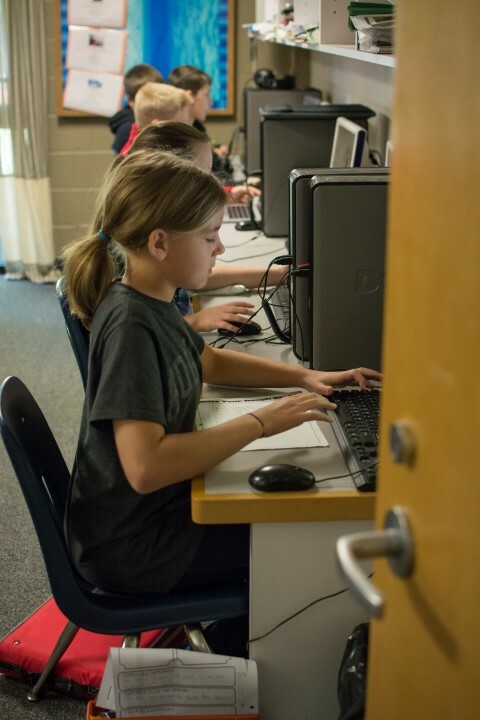 By grade 8, Kingsbury Kids are confident and competent users of a wide range of technology methods including apps found in an office suite, desktop publishing, multi-media presentations, and creating movies.